Varicose Veins that bulge above the surface of the skin usually come from the main vein system on either the inside of your leg or the back of your knee. 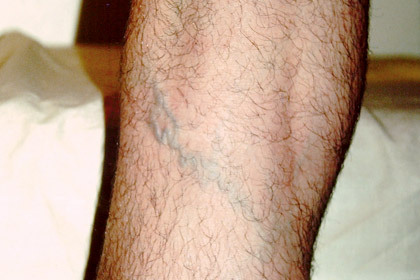 These veins can be treated non-surgically by either Ultrasound Guided Radiofrequency or Ultrasound Guided Laser. Reticular Varicose Veins are larger veins on the surface of the skin that form a network. They can feed into areas of spider veins in which case they are usually treated by Surface Sclerotherapy. 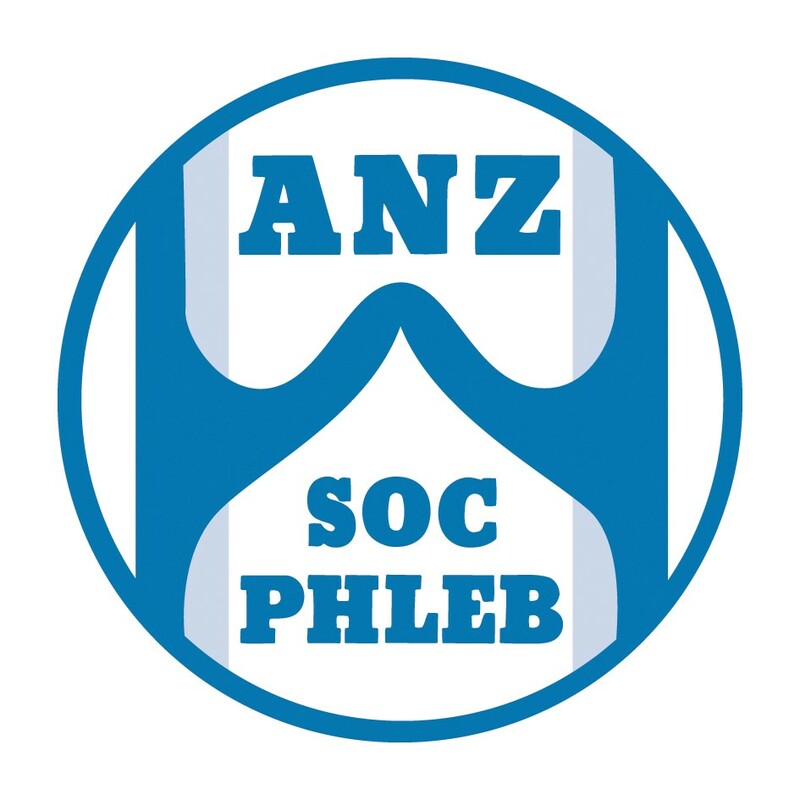 They can also be branches of the main vein systems in which case Ultrasound Guided Sclerotherapy may be required. Spider veins are the very small veins on the surface of the skin and can vary from red to blue in colour. 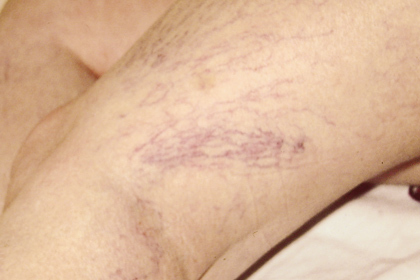 Spider Veins can be isolated or form a cluster and resemble a bruise. 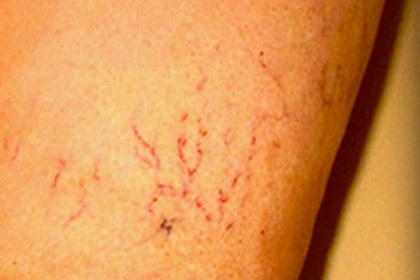 Spider veins are most commonly treated by Surface Sclerotherapy. The smallest spider veins are red in colour and medically we term these tiny blood vessels telangiectasia. These are the leg veins that can respond well to either Surface Laser or the VEINGOGH Surface Radiofrequency treatment. Leg veins can vary significantly in colour, size and shape from tiny spider veins through to large Varicose Veins. Patients request leg vein treatments for a variety of reasons including unsightly appearance, unwanted symptoms and to prevent future problems. Proper Medical assessment including the use of Ultrasound Scanning is necessary to select the most appropriate treatment for each individual. Nearly all leg vein problems can be treated in the clinic rooms without the need for hospitalisation or general anaesthesia. 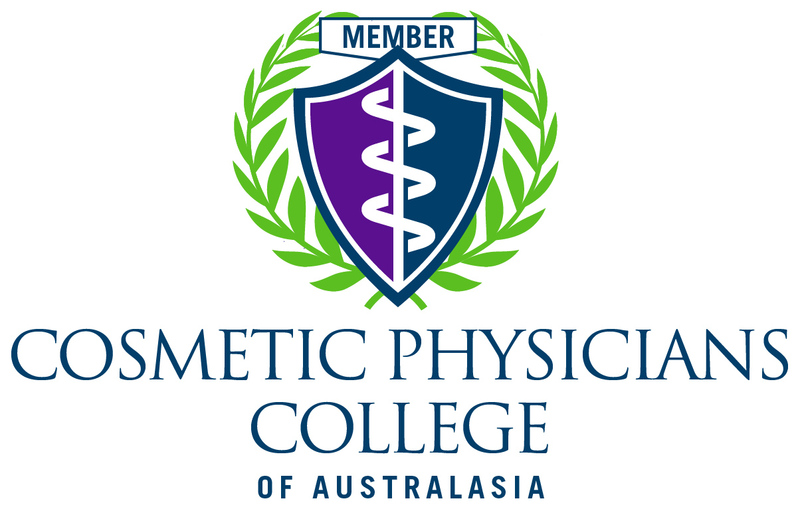 Leg vein treatments should be performed in a medical clinic environment by experienced medical doctors using the latest equipment and techniques. Costs need to be fully discussed as out of pocket expenses vary significantly depending on the procedure and whether any Medicare or Health Insurance rebates apply.